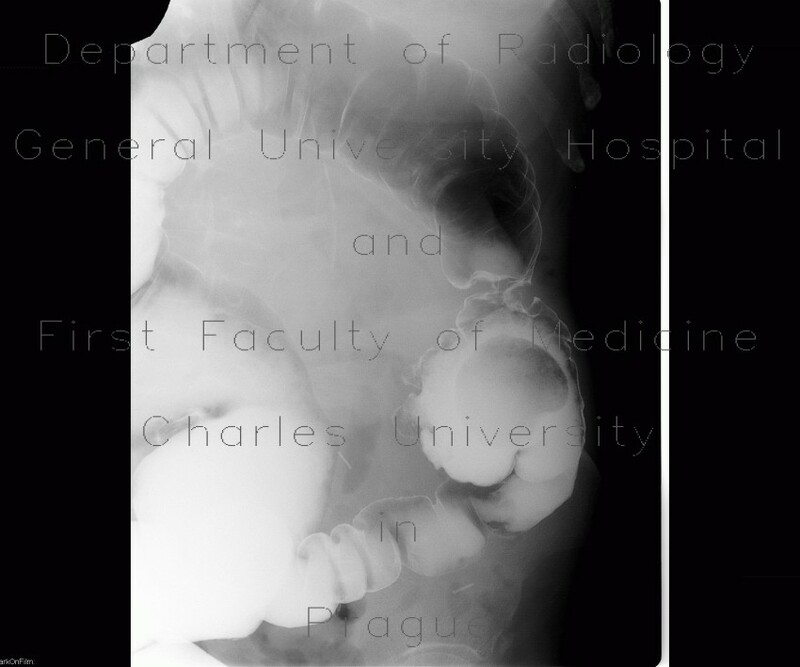 Barium enema in patient after resection of splenic flexure. The large bowel is apparently shortened. Conspicuous short stenosis can be appreciated in the location of the colo-colic anastomosis. However, such an appearance (apple core) can also be due to underlying colorectal carcinoma.